“Working as an artisan is incredibly tough, and I have worked hard to improve the working conditions since my father’s time” says Mr. Oka. His father is the Kazuman Tada, the late founder of Tada Industrial Corporation which manufactured Japanese kendo equipment and held more than 50% of shares in Japan. 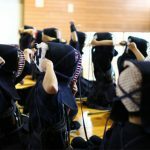 They have been involved in manufacturing kendo equipment for half a century, yet their unquenchable passion drives them on. Recently, China has taken over much of kendo gear manufacturing, but cost is not the only reason for this shift. It is hard, dirty work, and even with the advancement in machinery it has not improved much. “Getting dirty” – this is because of the traditional color used in kendo gear. The Indigo used is of unmatched deepness and beauty. But Indigo dye wears off easily, especially on dear skin. It is called “dye”, but in reality it is little more than putting the Indigo on top of the skin. That is why the manufacturing area is full of Indigo dust, and that is where the workers must do their job. “That is why I thought the only option is to invent Indigo dye that would not wear off.” On dear skin? “No, considering the present age, artificial leather”, Mr. Oka continued with a wry grin. “People immediately told me I couldn’t do it. The Indigo just doesn’t stick. It was continuous trial-and-error. We had to invent our own manufacturing method. By repeatedly attempting and failing, we were finally able to establish a manufacturing method. 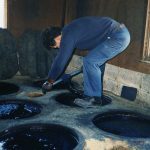 Artificial leather made of chemical fibers were a perfect match for the Indigo dye.” It was completely resistant even to water, and this led to its productization – the word’s very first of its kind. The new product, named “Hybrid Indigo Leather”, was birthed out of the manufacturing team’s ideas. But, since it’s the manufacturer for kendo gear, this product had many qualities that would be appreciated by kendo lovers – light, antibacterial, odor-resistant, sweat-absorbing, quick-drying, and durable. Creating kendo gear that used material that had all these qualities was the answer to their 50 year quest. If it became a reality, it would be a miracle. As mentioned, it was deemed impossible to create artificial leather that could be indigo-dyed. 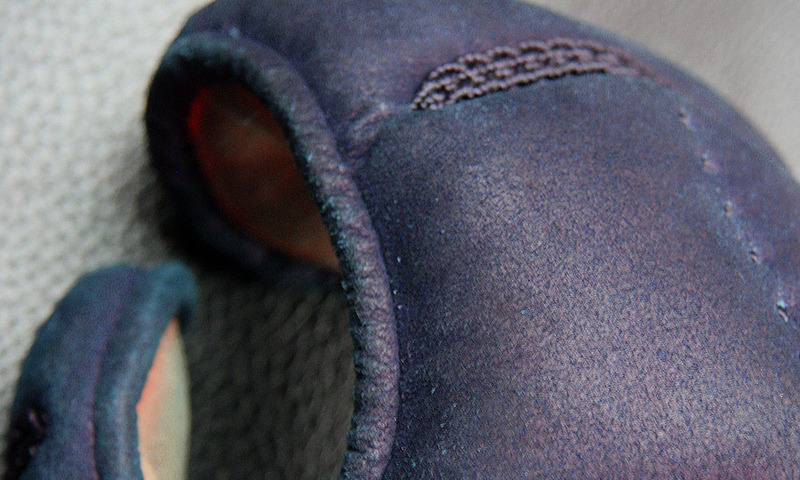 “Hybrid Indigo Leather” succeeded in the “impossible”, and it was completely different from materials which used artificial dye. It shows no visible difference in brightness of the Indigo color compared to natural leather, and as one uses it more, it brings out a sense of dignity. Its beauty really shows in kendo gear. 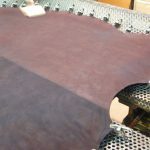 Tozando and Tada Corporation have now formed a business partnership to create products using “Hybrid Indigo Leather”, a new material that holds incredible potential. We have agreed to take kendo gear manufacturing to the next level. Hybrid Indigo Leather really is a new hybrid material, combining the beauty of the natural Indigo and the functionality of artificial leather. It has succeeded in a 50% weight reduction compared to natural leather, yet improved upon its durability. It is just as strong as previous gear made from natural leather, yet one can move easily and practice a more speedy style of kendo. Natural leather is also vulnerable to sweat but Hybrid Indigo Leather has improved greatly on its sweat-absorption and quick-dry. It is also antibacterial, countering the bacteria that cause the gear to smell and keeping the gear clean. 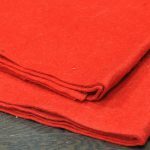 We believe that, with all these qualities, Hybrid Indigo Leather will set the standard for kendo gear material in the present day and win the love of many kenshi around the world. 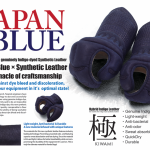 What is “Hybrid Indigo Leather” (KIWAMI)? 2016/04/26 – NEW [KIWAMI] series Kendo Bogu!